Chocolate Brownies a lovely dessert! Especially with a few scoops of your favorite ice cream! 1. Pre heat the oven to Gas mark 5. Add the sugar and margarine in a mixing bowl. Mix until all the sugar has mixed into the margarine. It should be nice and fluffy. 2. Add the eggs and the flour and mix well, try to get as much air in the mixture as possible. 3. Add in the baking powder and the coco powder and finally the Vanilla essence, and give it a good mix! 4. Line your tray with greaceproof paper and add the mixture into the tray, try get it nice and even. 5. Place in the oven for 20 – 25 minutes. If when you take the brownies out and the middle wobbles they are not quite done yet. When the brownies are cooked wait untill they cool down. Serve with a couple of scoops of ice cream and serve! 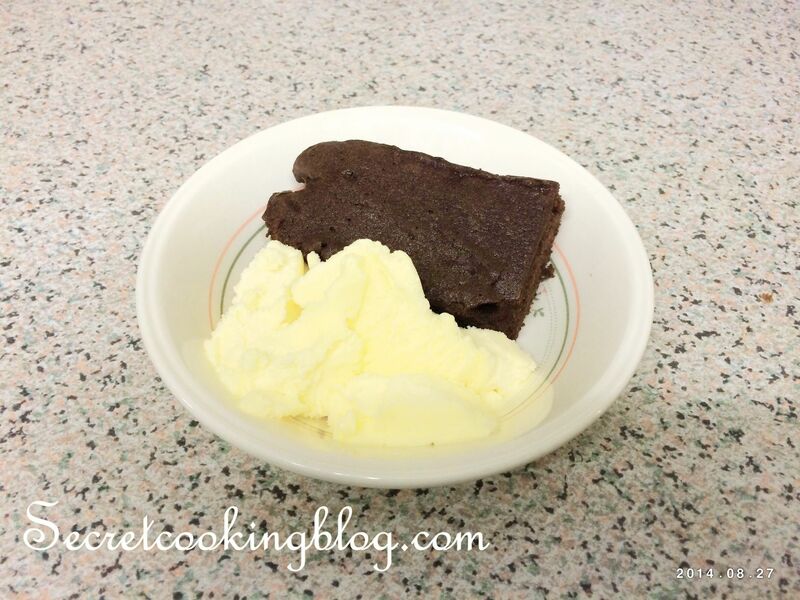 I hope you try this recipe at home, I would really appreciate the feedback and pictures from your Chocolate Brownies. If you want to try something different I recommend you add some crushed up Oreos. This entry was posted in Recipes and tagged Baking, blog, Cake, chef, Chocolate, Cooking, Dessert, Dinner, Easy, Food, GoodMeal, Recipe, Recipe of the day, recipeoftheday, Summer, Sweet, Tasty, vanilla. Bookmark the permalink.